Each of the 76 smartly appointed guest rooms and suites, some featuring full kitchen or kitchenette, coffee maker and some with balconies overlooking the harbor. Our facilities offers a multitude of amenities including a heated pool, whirlpool, tennis court and fitness room. Deepwater marina can accommodate vessels up to 60 feet, fee applies. It's docks are equipped with either 30 or 50 AMP service, water and cable hookups. The Marina offers access to all the hotels many amenities. Coconut s Restaurant: Coconuts Restaurant and Night Club offers a wide selection of delicious lunch and dinner choices, featuring fresh fish & local seafood, steaks and pasta, waterfront dining, also nightly live entertainment and a full liquor bar. 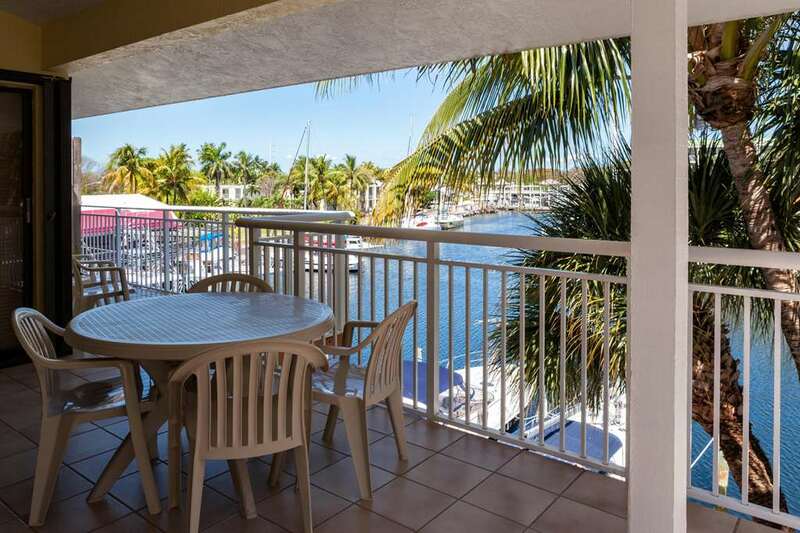 Located in the Dive Capital of the World on Mile Marker 99 Marina del Mar is the ideal property for any vacation that includes diving, snorkeling, fishing, boating and sunset cruises. Near John Pennekamp Coral Reef State Park, this pet and family friendly hotel is just one hour south of Miami in the heart of Key Largo. Within walking distance to the famous African Queen Boat where you can take a canal tour. Day trips available locally to Key West.